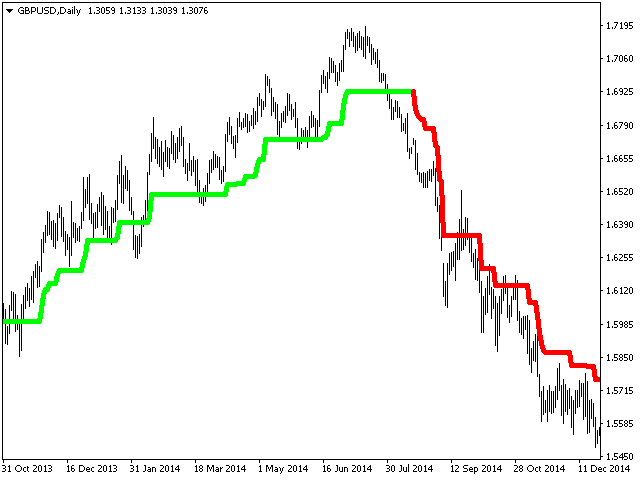 Trend indicator. The indicator identifies the major price movement trends and market them with different colors. It filters out and ignores the noise and short-term movements of the price against the main trend. This indicator is a tool that identifies the current trend in the market. With the default settings, the ascending ("bullish") trends are marked with green lines and the descending ("bearish") trends are marked with red lines. The indicator ignored sideways or flat movements, when the price fluctuates within a channel. 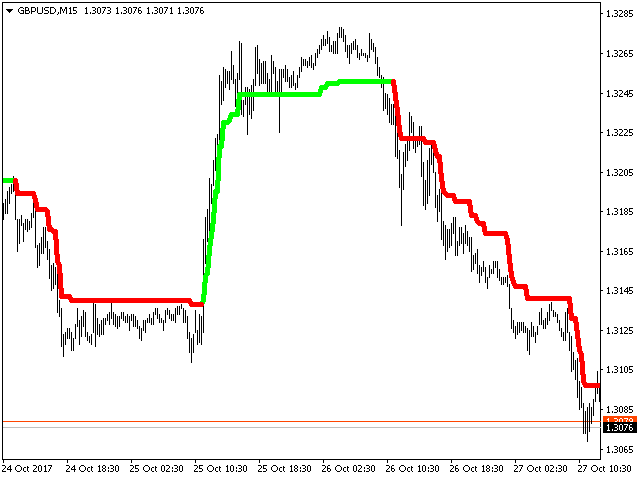 The size of the channel or sideways price movement can be adjusted by the indicator settings. restriction_points - the size of the channel in points. Text_BUY - custom text for a buy signal. Text_SELL - custom text for a sell signal. Send_Mail - send an email using an address specified on the Email tab of the options window. 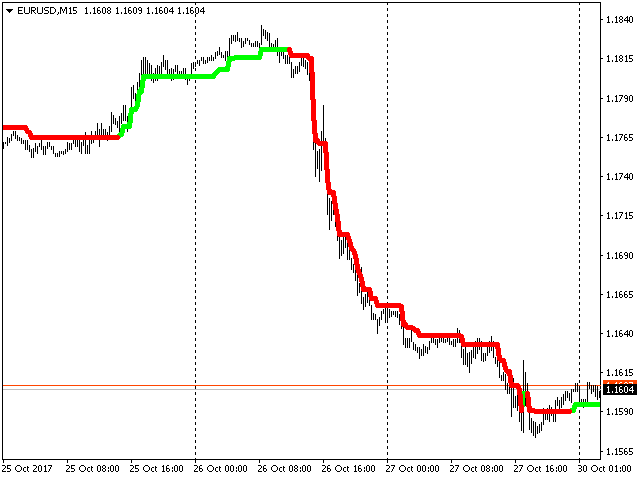 The indicator signals about the trend change on the last bar, that is being formed, and can change its direction. Therefore, it is important to wait for a signal on a complete bar.